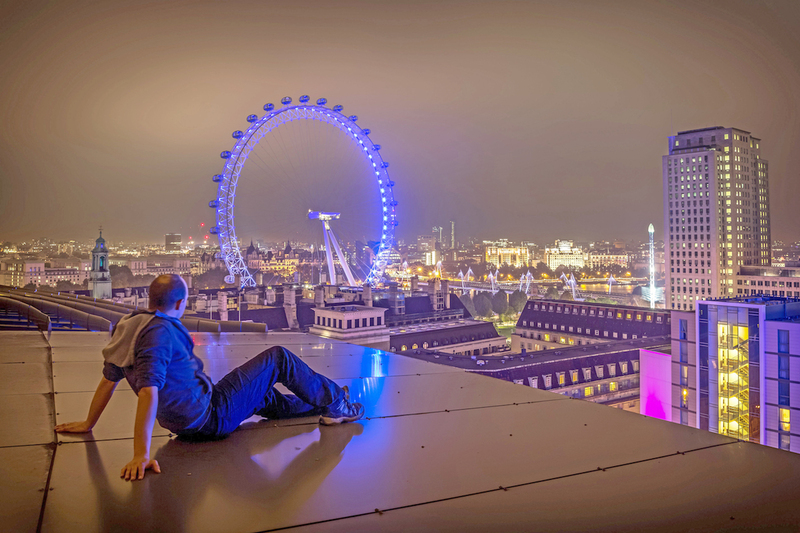 A new generation of daredevil urban explorers have become a concern for authorities in the Square Mile, especially as they promote their activities on social media. Soaring skyscrapers and abandoned retreats never meant to be seen by public eyes have lured secretive urban explorers for years. They claim that when they do it right, they come and go without anyone ever knowing they were there. But a new generation of daredevil urban explorers have become an increasing concern for authorities in the Square Mile. 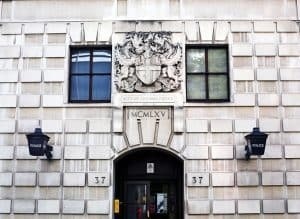 The exclusion of two such “UrbEx” explorers from the City of London, which governs an alluring patch of towering buildings and bridges, was highlighted in a report to Corporation councillors by local police just last week. In one case, City Police revealed a YouTuber caught last year had ignored London’s little-known bylaw prohibiting anyone from jumping into the River Thames. He appeared to be unintimidated by the laws of physics, too. “He did a backflip off the balustrade of Tower Bridge and into the River Thames,” PC Sam Lowe recalls. That man received a community protection order warning, prohibiting him from being on the balustrade of any bridge. But the question of how to handle daredevils with social media followings in the hundreds of thousands is not only frustrating authorities. Andy Kay, who runs urban exploring website Behind Closed Doors, has described a split between “old-school” adventurers and those driven by exhibitionism, fame and money. Mr Kay described urban exploring historically as an “underground hobby” – it was “an activity for the few, unheard of by the many”. He says the hobby flew under the radar for a long time because it fell into a legal grey area of trespassing – and while that’s against the law, it’s a civil, not criminal offence. With a hobby that is largely unheard of, and the police encountering few people who do it, that would be unlikely to change. But the audience size and number of participants are growing at an exponential rate. An Instagram search reveals nearly six million posts including the “UrbEx” hashtag, with incredible photography talent on display in awe-inspiring locations from skyscrapers to abandoned mansions. Among them are daredevils showcasing adrenaline-inducing feats, with brand sponsorships, paid advertising posts, and merchandising. Extreme sports stars are a growing niche in the community. Mr Kay said social media and mainstream media fascination with striking photos, and footage of breathtakingly dangerous feats from some explorers, had brought the activity to a wider audience. But he claims bringing widespread attention to the previously secretive-style of adventuring risked ruining it. He accuses some social media UrbEx stars of “glamourising” the activity with showy videos, and deliberately attracting police attention for hits. “A select few have discovered that getting caught adds a lot of drama and excitement to a video, and now get caught, on purpose, on a regular basis. “To any true urban explorer, getting caught is considered a fail. Added to that, the instantaneous ability to share footage of a previously secret spot online means copycats would begin hitting it and drawing authorities’ attention immediately. Social media stars’ exhibitionism makes a police officer’s job very easy, notes PC Lowe (inset). 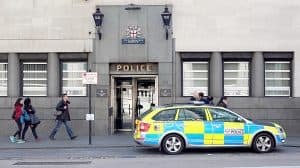 He says that while explorers had been trying to access London’s restricted spaces for years, the social media fame drawcard had intensified the problem in the City. And despite people around the world finding entertainment in the spectacle, PC Lowe says it causes huge disruption. 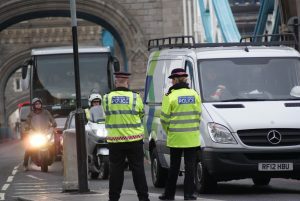 Entire streets in busy London have had to be cordoned off because of people spotted on building tops and bridges, using up police time, stopping traffic, and risking injury. 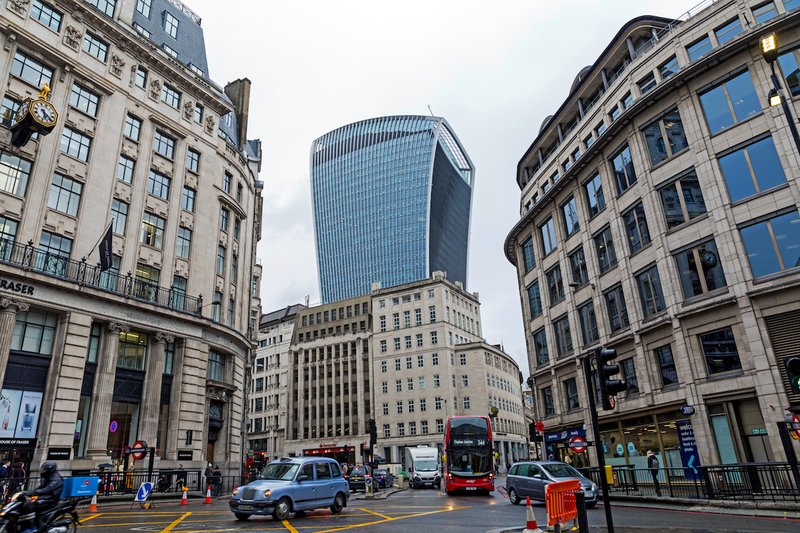 PC Lowe says Square Mile buildings owners are becoming increasingly worried about insurance liability, as well as the risk to the public beneath due to the damage one small item dropped from a height could do. He adds that he has heard of some London security firms losing contracts after explorers managed to trespass. French climber ‘Spiderman’ Alain Robert had more than 100 high-rise climbs behind him before he drew the world’s attention scaling the 230-metre Heron Tower last October. Robert completed his feat unscathed (aside from ending up in court and with a fine afterwards), but police worry about impressionable young copycats. While most amateurs were unlikely to attempt to free-climb the face of a skyscraper like Robert did, young social media fans copying their YouTube heroes leaping off cranes and bridges and exploring sewers could result in tragedy, PC Lowe warns. Some respected UrbEx professionals have already paid the ultimate price. Last June, famed explorer Rebecca Bunting, who was known for photographing abandoned spaces, was swept to her death in a flashflood while exploring a Philadelphia storm drain. Celebrated New York explorer, Instagrammer Christopher Serrano, known as ‘Heavy Minds’, was hit and killed in 2016 by an oncoming train as he tried to climb atop a moving carriage to photograph a ‘subway-surfing’ attempt. PC Lowe says there have been efforts in the UK to counter the risk of tragedy repeating here. He has spoken to business leaders who have been in talks with YouTube and are looking at asking the Information Commissioner’s Office to rip down videos showing dangerous stunts or emergency services being taunted. He said he was aware of cases where YouTube had pulled content for those reasons already. Community protection notices, criminal behaviour orders, aggressive trespass, criminal charges and injunctions are already being used by authorities to target explorers, he adds. Court injunctions can also see people banned from entire areas, which has already happened in Canary Wharf. With plenty of crime to solve in the Capital, PC Lowe is quick to point out it’s not a full-time job: he might only issue a dozen warnings about UrbEx in the Square Mile each year. But he says police UK-wide are finding themselves needing to spend precious time investigating and preventing disruption from the issue, noting there are also Met and Surrey officers now specialising in UrbEx investigations. Abroad, UrbEx enthusiasts can find fewer rules. Some building owners even give their blessing for professionals to stunt and film at their sites, such as in Dubai, where some of the world’s tallest skyscrapers are found. But PC Lowe suggests Londoners stick to local rock-climbing walls.